This study focuses on the state's impact on American society from the Civil War to the present. For the past several decades historians have tended to divide themselves into increasingly distinct historical perspectives. 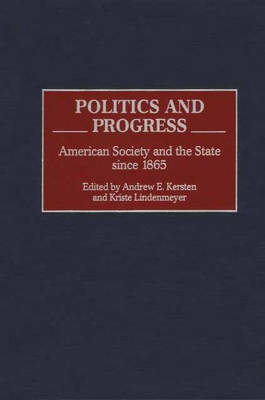 This anthology seeks to reverse that trend by linking the viewpoints of political and social historians to interpret the growth of the state and society in the United States since 1865, an era during which the state's role has been expanded and redefined in a diverse and rapidly modernizing America. This technique challenges historians to think more broadly about the interactions between the state and society. Arguing that the close examination of political frameworks offers significant insights into facets of social history, these chapters seek to connect social and political history through a common thread of human experience. Pieces are grouped thematically and chronologically to illustrate how the state's role in society has developed over time. The first six examine the state's influence on, and manipulation by, social groups, particularly women, Native Americans, labor, and the military. The final three demonstrate the impact of political and social thought on the relationship between the state and society.